If you have a business-class flight, free lounge access comes with it for free. There is another way to enter the lounge and that is by paying at the entrance when you are flying economy. But the best way to access lounges without flying business class is to have a credit card that provides free lounge passes. Credit cards use mainly two main lounge programmes to provide free lounge access. One is Priority Pass and the other is Lounge Key MasterCard Airport Experiences. Both of these programmes are owned by the same parent company. Priority Pass has slightly more airports covered than Lounge Key. One main difference between Priority Pass and LoungeKey is that Priority Pass sells different levels of memberships to the general public, giving free access to certain numbers of free entrances, unlimited entrances, or just the annual membership (each entrance will cost you if you just have the annual membership plan) lounges. On the other hand, LoungeKey is only available to credit card holders. Depending on your credit cards, you can have just the annual membership, a certain number of free entrances, or unlimited free entrances. You cannot buy LoungeKey; it’s given to you by your credit cards. I love staying in lounges at airports because it adds a different dimension to your travel experiences. Lounges provide free food, drinks, spa, messages, showers, and some lounges even have a hotel inside and cooks are on standby to create your meals. You can view my lounge experiences across the globe here. Also, I have a video discussing how to access airport lounges for free and sign up for the LoungeKey program. I will bring you a lot more business-class flight and lounge reviews in the next weeks once my trip to Australia, New Zealand, Singapore and Malaysia starts on Nov 24, 2018. Please subscribe now on my YouTube channel provided above. What Happens to Your Aeroplan Miles? Air Canada created Aeroplan in 1984 to reward Air Canada and its alliance members. Then in 2008 Air Canada sold Aeroplan, but still maintained its partnership. Last year, Air Canada declared its intention to abandon Aeroplan in 2020 to create its own frequent flyer program and then this year (2018), Air Canada - along with its partners such as TD, CIBC, and VISA - have bought back Aeroplan for $450 million with its 1.9 billion miles liability. If you are an Aeroplan member and not sure what to do with your miles after all these developments, I will shed some light today in simple terms so you can get the most out of your Aeroplan miles. So if you have a trip coming up before 2020, redeeming Aeroplan for business class will provide the most value. Although, Air Canada mentioned Aeroplan will be transferable to the new Air Canada loyalty program, I doubt that you will get better value than redeeming your miles now for business class flights. However, if you are not taking a trip, don’t rush to redeem your miles. Rush decisions often make poorer judgements and lower redemption values. In terms of Aeroplan credit cards, no one knows at this point whether these cards will continue as is or will have decreased rewards and benefits. As far as you are concerned, you can keep using these cards to earn miles. I don’t see any need to cancel and change these Aeroplan cobranded credit cards yet. I do see more credit cards with hefty sign-up bonuses and a variety of benefits & rewards coming up in the future, once Air Canada is set to go with its new frequent flyer loyalty program in 2020 and beyond. There is a possibility that Air Canada will devalue Aeroplan at the time of the transfer or after that. This is because of the humongous amounts Air Canada and its partners are paying to absorb Aeroplan will have to come from somewhere and devaluing seems to be the easiest way to make that happen. - If you need to redeem Aeroplan, redeeming for business class flight will provide the best value and I doubt you will getter better value than now even after the transfer to the new program. - Keep using your Aeroplan credit cards as usual. - Keep an eye out for more credit cards with mega bonuses and possibly better reward structure and benefits in the future. Alaska Airlines recently increased its World Elite MasterCard and Platinum Plus MasterCard annual fees to $75 and $99. However, these cards still provide a lot more value than their annual fees. These cards come with a bonus 20,000 and 30,000 Mileage Plan miles after spending $1,000 within the first three months. 30,000 miles are good enough to fly one-way business class (for example, Vancouver to New York) short distance or one-way economy class long distance (for example, Toronto to Iceland) on Alaska Airlines partner members. And then Alaska Airlines MBNA World Elite and Platinum Plus MasterCard let your companion fly for $121 US only when you pay full fare for yourself. 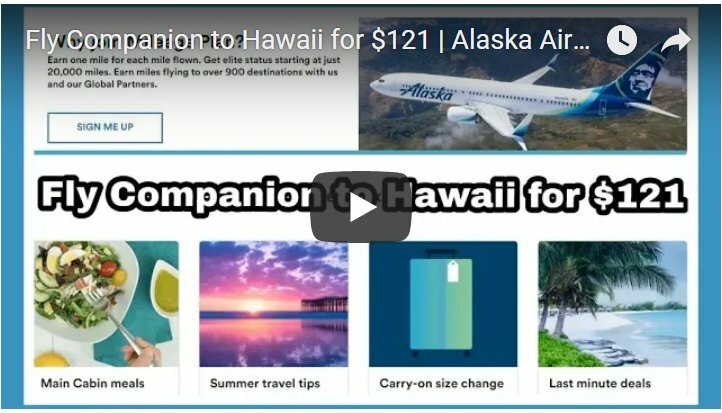 You can fly anywhere Alaska Airlines flies and one popular destination is Hawaii, which could cost around $1000 to $1200 for your companion. The only drawback is that companion fare can be used only on Alaska Airlines and they serve only Western Canadian cities such as Calgary, Edmonton, Kelowna, Vancouver, and Victoria. Companion fare can easily pay off the cost of the annual fees for these cards: $75 and $99 for Alaska Airlines Platinum Plus & World Elite Mastercard every year. In the first year, you will have to meet the minimum $1000 spent requirement within the first three months and then the companion fare will be awarded to the primary account holder’s Mileage Plan account after two billing cycles. Starting the 2nd year, companion fare will be awarded after the anniversary date + within 2 billing cycles. The anniversary date is not the date when you opened your account, but when you opened the account + an additional 6 to 8 weeks. As you can see, these two Alaska Airlines cards still provide value if you use them tactically. Loyalty Program Aeroplan had a few runs in the news again for some recent developments. We heard about the failed unsolicited $250 million hostile bid where Air Canada partnered with 3 other financial institutions—TD Bank, CIBC Bank, and Visa —and attempted to purchase Aeroplan. Also, more news broke out that Aeroplan and Toronto-based airline Porter formed a partnership that will make Porter Airlines a preferred Canadian partner for the Aeroplan loyalty points program and let Aeroplan members earn and redeem miles on Porter flights starting July 2020. July 2020 is also the deadline when Air Canada splits from Aeroplan. 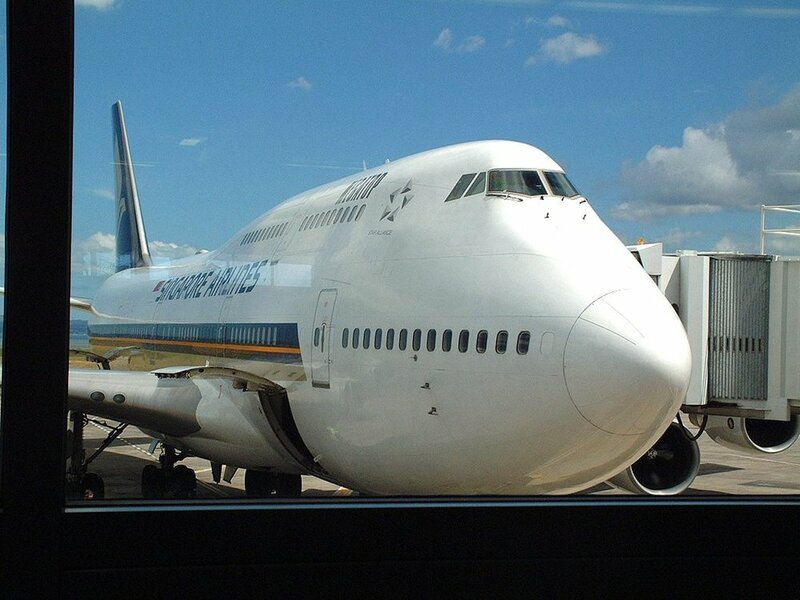 And then there was the news that Aeroplan is in talks with another alliance, Oneworld, to form a partnership. Oneworld is an alliance of 13 of the world's leading airlines (+ other affiliate partners) and has partners such as American Airlines, British Airways, Qantas, Cathay Pacific, Canadian Airlines, etc. Currently, Aeroplan is a part of Star Alliance through Air Canada, which will end in 2020. After absorbing all these developments, readers may naturally ask whether they should redeem Aeroplan now or hold on to it to redeem later? I will answer these questions in a video I just published. Aeroplan Partners with Porter Airlines | Redeem Aeroplan Now or Wait?